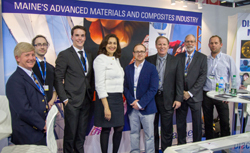 Join the Maine Composites Alliance, Maine International Trade Center, and Defense Industry Maine as we feature Maine’s innovative and diverse composites and advanced materials sector at the CAMX 2018 Expo. China-Maine trade: What’s at stake? Maine’s trading relationship with China has nearly doubled in the last 10 years. New tariffs and trade agreements, however, could temper that growth. Join us to explore how this trade can affect the economy of Maine. 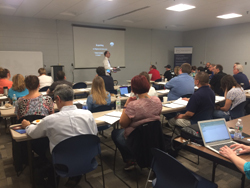 If your company exports defense products, services, and technical data, you won’t want to miss this training with Mike Allocca. Along with an understanding of your role and responsibility, you’ll leave with a copy of the ITAR regulations and complete reference material moving forward. Join us in the Best of New England Booth at MEDICA 2018 - the world’s largest medical trade fair! MITC has teamed up with IBT Online to help your business optimize international marketing efforts. Using case studies and practical examples, you’ll learn how small- to medium-sized companies use localized websites and international online marketing to grow their export sales and brands globally. Maine International Trade Center staff and Board of Directors invite you to attend our Annual Member Holiday Reception. 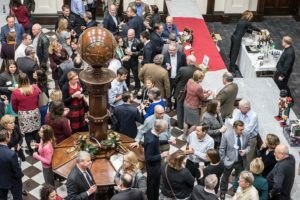 MITC Members, please join us for an evening of holiday cheer and networking with other internationally-active Maine businesses. 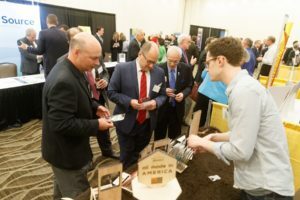 Maine International Trade Center (MITC) invites you to participate in the State of Maine Pavilion at the Winter Fancy Food Show in San Francisco. Heading to the Arctic Frontiers conference in January? Join MENADO’s Maine delegation in Tromsø, Norway supported by our partners from the Norwegian Institute of Food, Fisheries and Aquaculture (Nofima), the Fram Centre (FRAM - High North Research Centre for Climate and the Environment), and Troms County Council. 2019 Camden Conference: Is This China’s Century? Tickets are selling fast, with some venues nearly sold out. 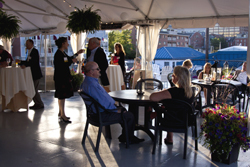 Register today for live events at the Camden Opera House or satellite events at University of Southern Maine in Portland. Mastering Export Documentation: What you don’t know can hurt you! Learn step-by-step how to correctly fill out international documents, where to find needed information, and when specific documents are required.